Throughout my four years living in Edinburgh, occasionally I’d be asked where the best places to go for food were, what sights were a must and where to go out out. For a long time I’ve wanted to do my guide to Edinburgh but I struggled with a couple things. Firstly, I’ve always been nervous about trying to provide anything definitive about Edinburgh (or for that matter anywhere I’ve lived) because my knowledge of its restaurants and bars certainly has its gaps, and the touristy stuff even more so. As is always the case when you live somewhere, you get into your own routines, you find places you like and then you stick to them (I’m not sure my local pub is worth the pilgrimage, or the Sainsbury’s where I bought most of my meal deals). Secondly, I grappled with a way to properly present a guide to you; in this case particularly I felt like a purely visual approach through video was not going to be helpful enough (not to mention anywhere less than instagrammable might be off the list). When I thought about finally taking the plunge and creating a blog, this was one of the first posts I wanted to do for that reason. 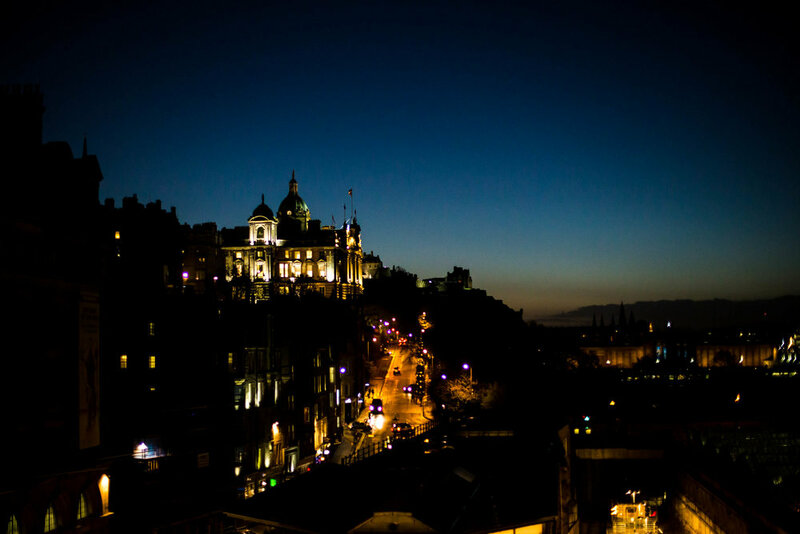 So, without further ado or rambling, here is my personal guide to Edinburgh. I haven’t tried to keep it short or succinct but rather more encyclopaedic, perhaps more for my benefit than yours, as I’ll be using it to keep a record of the places I like. 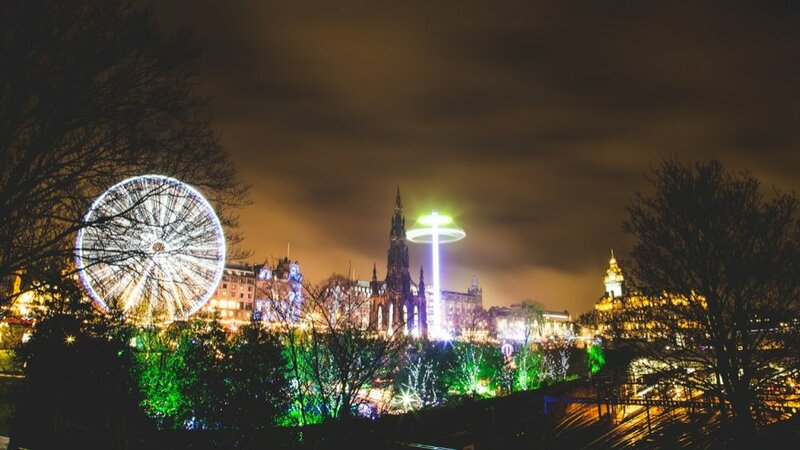 Although Edinburgh is a beautiful city at any time of year and well worth a visit if you’ve never been before, the absolute best times to go are either around Christmastime or during the Edinburgh Festival. For six weeks beginning in late November, the Edinburgh Christmas market opens, and although it may not be worth a trip to Edinburgh all by itself, there is something decidedly wonderful about the city at this time of year. It’s wintry and cosy, there are Christmas lights up all over the centre of town, and I have a feeling it will become one of my traditions around that time of year to go up and visit. There is also Hogmanay of course, Scottish New Year celebrations that are famous the world over, and it’s lovely to see the city lit up by fireworks (albeit a little chilly). On the other hand, the Edinburgh Festival is an arts festival held throughout most of August, with thousands of shows going on every day in hundreds of venues, spanning just about every form of theatre, comedy, music and dance you could think of. All over the city pop-up bars and stalls spring up, so the opportunities for drinking and having fun increase massively. I have vlogs of both kinds of Edinburgh here and here if you want to get more of a feel for it. 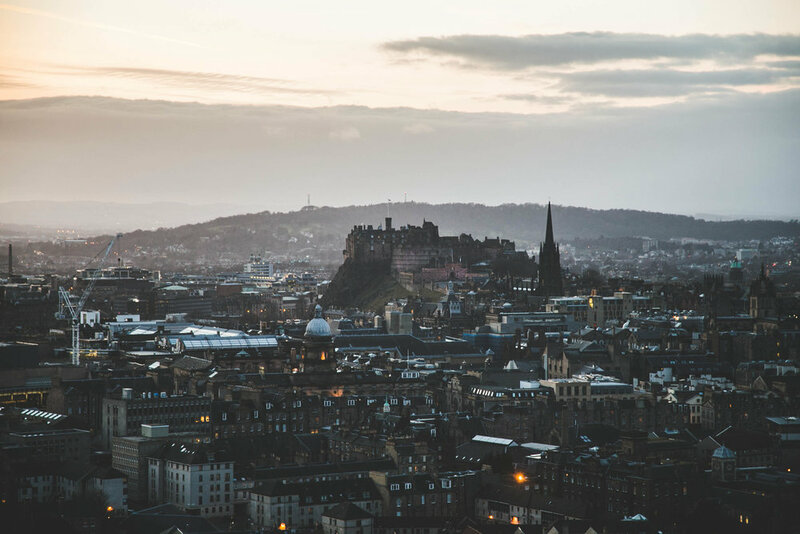 Something you can’t miss (quite literally because it looks down over the city), is the Edinburgh Castle, sitting on the plug of an extinct volcano. Take pictures of it from Princes Street or any number of other viewpoints, and walk up the Royal Mile to get a closer look, but it is super expensive to get in and in my opinion, not wholly worth it. Princes Street is the main shopping street in Edinburgh, though don’t expect much beyond the usual high street shops. Running behind it is George Street, which has a few more upmarket and independent shops, but (perhaps more importantly), it is home to lots of the fancier bars and clubs. The Royal Mile is, like the castle, kind of a must if you’re in Edinburgh, though it is a little overcrowded with tourists a lot of the time. At the top of it, near the castle is Camera Obscura or ~World of Illusions~; its essentially a small tower filled with optical illusion installations, and also is a way of seeing some of the city as well as it also draws on its history as an observatory. It, too, can be a bit congested and cramped, but I kind of love it nonetheless. I visited with my little sister last year if you’d like to see here. Everyone always recommends climbing Arthur’s Seat; which is the main peak in the hills (or ex-volcanoes) of Holyrood Park. The walk is about half an hour to the top, but it can be extremely windy up there, so wrap up and try and go on a good weather day (I once went up on Bonfire Night and almost froze to death). For a beautiful panorama of Edinburgh, and one that is slightly less effort for the lazy amongst us, Carlton Hill is also beautiful. The final outfit in this lookbook was filmed up there. Speaking of parks, if you’ve got a quiet day in the city, a trip to the Royal Botanic Garden is nice and relaxed, and Dean’s Village is a pretty area to take a few pictures and explore. My little sister and I also visited Mary King’s Close when she came up last year, and there are a variety of underground activities you can do in Edinburgh, because some of the buildings in the Old Town area were built on top of these residential ‘closes’. Of course, these hidden streets became shrouded in myths and ghost stories and can make good tours, both if you like the slightly spookier stuff or you’re just interested in the history. Apart from that, one of my favourite things about Edinburgh is that it’s a good hub to start a trip to the Highlands, and there are many scenic places (namely Loch Lomond and The Trossachs) that are within a couple hours’ drive from the city if you wanted to do a day trip. I have plenty of Highland footage here, here and here if you want some ideas. 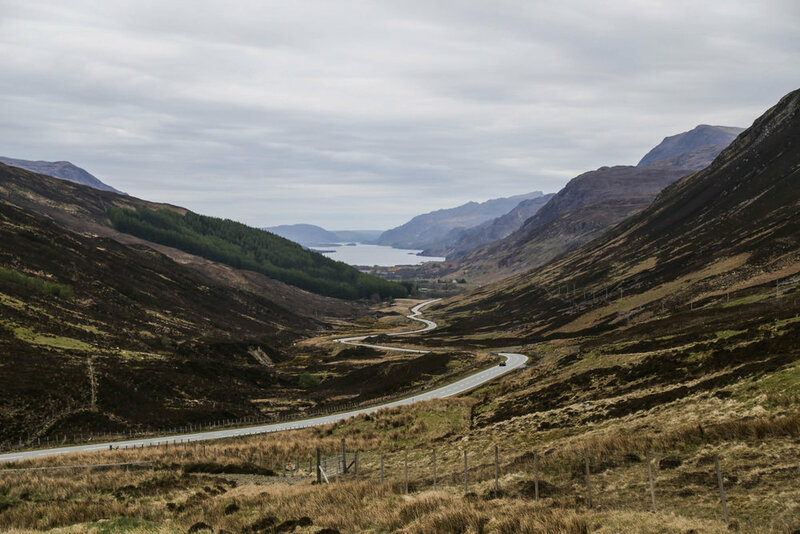 I can’t stress enough how incredibly beautiful the Scottish Highlands are, and I highly recommend you add a few days to your trip if you can to explore them, especially if you’re already planning to be in Scotland. 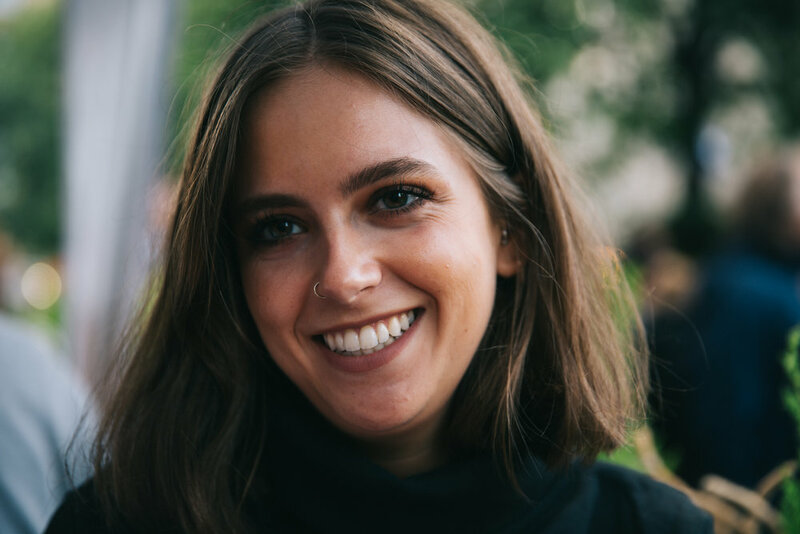 Having been a student in Edinburgh, my usual night out routine would be to pre-drink at our flat, and then head straight out to a club, maybe with a few drinks at the local pub if we were feeling a little cooped up/more spendy, so my bar knowledge is perhaps not as comprehensive as it should be. However, on those special occasions I did venture out, there are some very nice ones, many in New Town. There is Tigerlily, Tonic, and Copper Blossom all around or on George Street, and all three are nice bars with chic interiors and long cocktail menus. Also in New Town is Bramble, a tiny speakeasy on the corner of Queen Street and Hanover Street (requires a little bit of looking for but it’s on the basement level), which has a cooler vibe (‘cool’ and ‘vibe’ are terrible words forgive me but I have to use them) and the cocktails are particularly nice here, too. If you’re looking for something a lot cheaper, there are some nice Wetherspoons in Edinburgh (I know, I know), particularly The Caley Picture House and The Standing Order. I feel like the classic pub is dying out a bit in Edinburgh, at least in the centre, and they’re all turning into gastropubs with recently renovated interiors. One of the recent casualties was The Pear Tree, which boasts one of the best beer gardens (on sunny days it gets absolutely packed), but has recently had a complete facelift inside. I haven’t visited the new version, and I’m sure it’s very nice and will still remain a staple watering hole, but I can’t help but feel a bit sad about it. Around the corner from The Pear Tree is 56 North, which is a nice bar and restaurant which also has good outside space for the warmer days. I won’t dwell too long on clubs because I have the worst taste in them (I want to be able to scream along the words to all the songs). Also, the clubs really vary from night to night, and different nights go in and out of fashion (I used to love Opal on George Street, it had good Wednesdays and Thursdays, but at the time of writing it is completely dead), so this will probably be very dated very quickly. A George Street staple is Why Not, I’ve had some good nights in there but its cheesy and can also be the worst. Bourbon is the latest and most popular club that I know of (formerly Suva), and it’s probably one of the bigger clubs in the New Town area which can make it slightly easier to dance and a little less cramped. I have spent a disgusting amount of time in a tiny bar/club called Garibaldis (I really can’t believe I’m writing this), which always smells slightly vomitous and the speaker system has been blown for a long time. It’s probably the cheapest venue in the area, including on weekends, but it can get absolutely packed and is generally ridiculous. Unless you are a student and you’re already very drunk I don’t think it’d be much fun. For a similar effect on a much larger scale, there’s always Hive. Focussed more on dance music and much cooler, there is Cabaret Voltaire (known mostly as Cab Vol), which is probably objectively one of the best clubs in Edinburgh, or somewhere like Sneaky Pete’s, which is more of a bar/club. The latter is on Cowgate, which is a great area in general for bars and clubs (also along there is Bongos, which is good for various different kinds of music depending on the night), and it’s a good, edgier alternative to what’s going on around George Street. Finally, if you’re on this guide because you’re a student, The Big Cheese which is held once a week on Saturdays in the student union building Potterrow is close to my heart. It’s cheesy and the ticketing/queueing system is absolutely insane, but I love it. And there we have it, I’ve dwelt far too long on clubs. If there’s one thing I would loudly claim to everyone when they asked about what it’s like to live in Edinburgh, is that it wasn’t offering much to the foodies. This was a little harsh. I think much of this may have stemmed from its lack of actually good Japanese food, which is my absolute favourite, and I’m super spoilt having grown up in London, where you can get pretty much every cuisine going whenever you want, so my expectations were a little high. Edinburgh has really great restaurants, but the variety isn’t always there. Starting with the small, in a pretty area called Grassmarket (which is worth the visit regardless of food, there are a few cute shops around here too) there is Mary’s Milk Bar, which is a sweet little place to get ice cream or a milkshake, and it has a good view of the castle too. A local favourite is Ting Thai Caravan, a Thai restaurant that serves delicious Thai food at a very decent price (especially if you go at lunchtime as opposed to dinner). Even though lots of things about it grind my gears (the premises are cramped and you can end up queuing, the stools are uncomfortable, and they serve most of the dishes in takeaway boxes), I still ended up going there often just because it’s great (and it was close to uni). The person who owns Caravan also owns Wildmanwood, a pizza restaurant up the road, which is slightly larger and more relaxed. Speaking of pizza, another of the best is Civerinos, which is just off the Royal Mile, though they now also have another branch called Civerinos Slice nearer uni/Caravan. Arguably the best pizza you will get in Edinburgh, Civerinos has a cool interior and tasty sides, but it is also mind-bogglingly expensive for your average student. Edinburgh has recently acquired its own Dishoom, which is a burgeoning chain of restaurants styled on the Bombay Café. The food is really good, and the location of this one is particularly nice, on St. Andrews Square (near the local Harvey Nichols). I haven’t been for breakfast specifically yet, but apparently its great. Another great place for Indian food is Mother India’s Café, it’s not particularly glamorous but you can’t beat it’s ‘Indian tapas’. For brunch there were usually two places on my list, either Checkpoint or Montpeliers (both of which also do post-brunch food too). The former is a large café/restaurant/bar, which serves good coffee and a tasty breakfast (until 5pm!) in an edgy, industrial feeling interior (I mean, there’s a shipping crate in the middle of it). This place was really a go-to if you wanted to chill and eat and drink coffee. The breakfast at Montpeliers on the other hand is really great, if you go on the right day. The last couple of times I’ve been it has been a bit disappointing, though whether that was because of the busy summer services I don’t know. Down in Bruntsfield, it has a light, airy interior and they also boast a lot of craft beer apparently, but every time I’ve been I’ve been stupidly hungover and have not sampled any of this. If you’re in the centre of town, you might want to pop into Bar Soba, if not for food then for drinks. Its Pan-Asian streetfood can be a bit hit and miss, but its lively and serves good cocktails (plus I think it has student deals on usually), and the location is good. In terms of high end, there are two restaurants I have been to, though there are a few more I’d like to try on my next visits. For my graduation dinner I went to Castle Terrace, which is probably my favourite of the two. The interior is quite relaxed (and maybe a bit underwhelming?) but the food is delicious, classic high-end Scottish cuisine. I’ve done the tasting menu twice there six months apart, and was a little disappointed that it was the same both times, but it’s great the first time round. The other restaurant is The Kitchin, run by famous Scottish chef Tom Kitchin. The food there is also very nice, but perhaps a little less adventurous than Castle Terrace. The interior is beautiful and it’s in an old converted whisky warehouse in Leith. 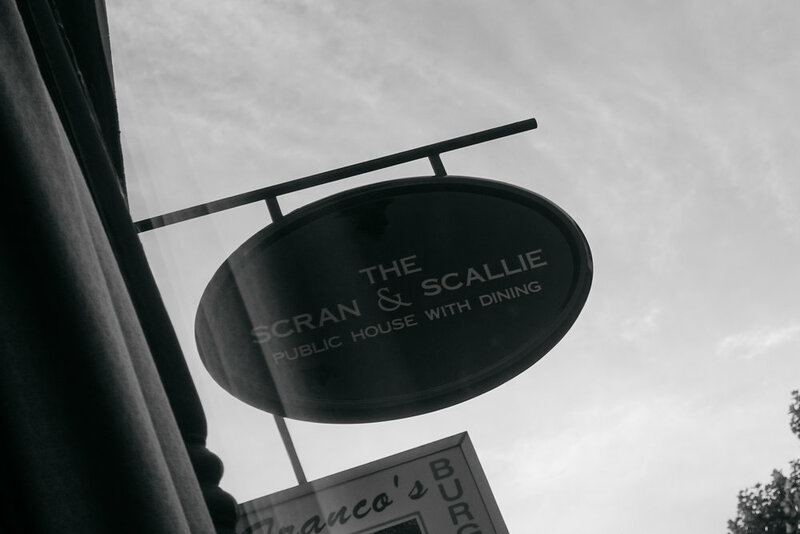 In the same group of restaurants but with a completely different atmosphere is The Scran and Scallie in Stockbridge. 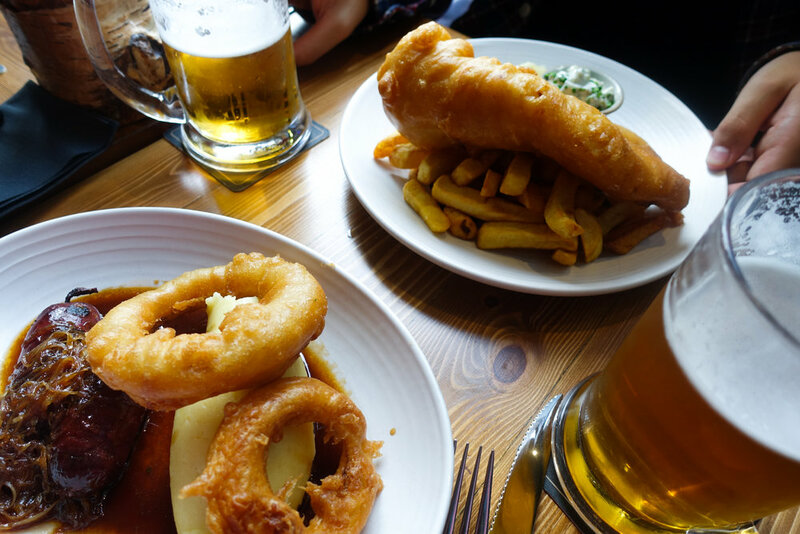 This is high quality Scottish gastropub food, and it’s a lot more rustic and relaxed. In the same vein is The Other Place. It's a nice little restaurant offering American comfort food, with some Scottish dishes mixed in. Think hot dogs and burgers and haggis. The bar is also good here, with lots of beers and cocktails and wine. Congratulations if you made it to the bottom of this mammoth post! I hope these recommendations are helpful and encourage you to go and see Edinburgh for yourself, because it’s one of my favourite places in the world. 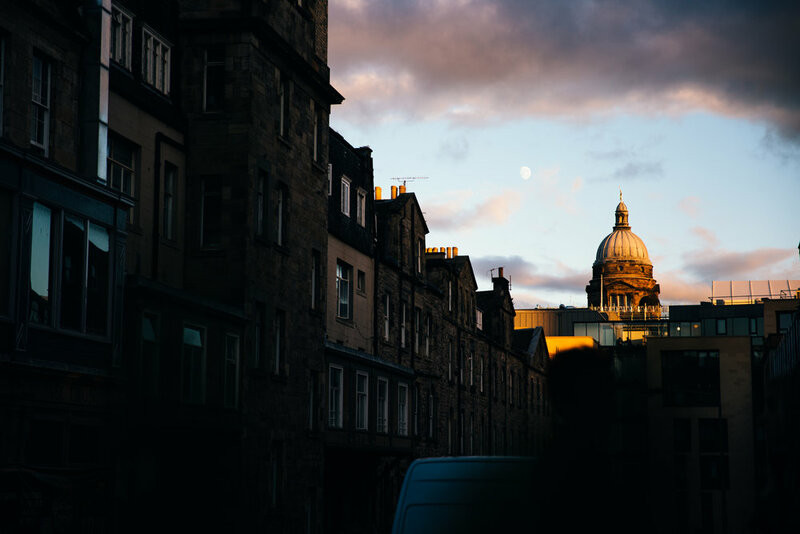 For any Edinburgh local most of what I’ve listed here is none too surprising, so I would love if you guys would leave more recommendations down below as I’m always on the lookout for the hidden gems.